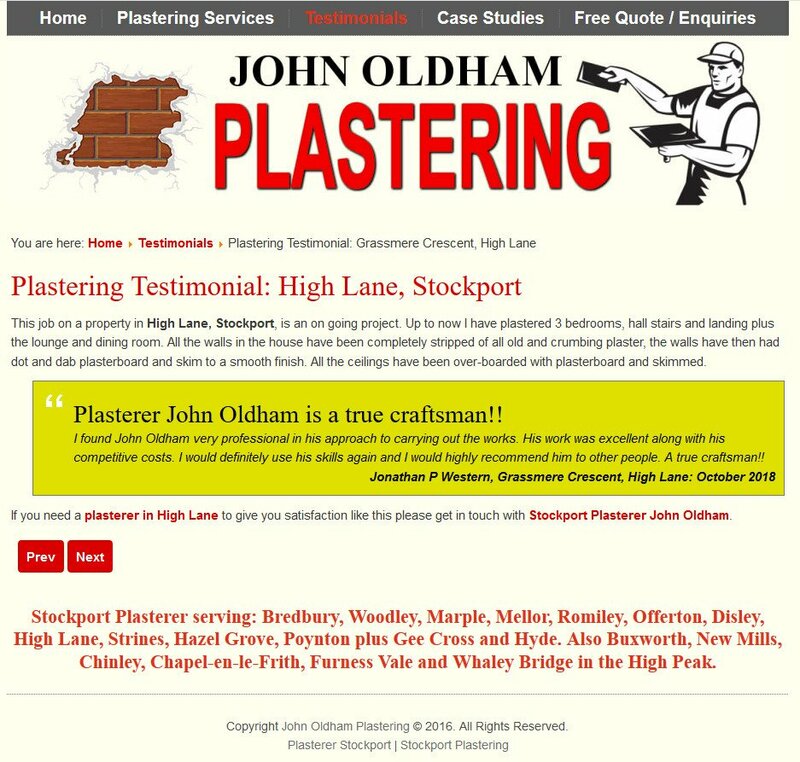 John Oldham Plastering is a web site sponsor and has also supported the Treasure Hunt since 2017. They have also donated a £25 voucher to spend in the shop as a fantastic raffle prize. Great Community Support! We're off to a great start with our first raffle prize donated while handing out flyers on Tuesday! A £10 voucher to spend in the shop. The Treasure Hunt is aimed at 3 to 10 year olds with parents, grandparents or carers to assist as needed. Hunt for clues and answer questions to reveal the information that will open the Treasure Chest for a share of the prize. There are two sets of clues aimed at ages 3-5 years and 6-10 years. The hunt should take around 20 to 30 minutes and you can start at any time between 11am and 2pm. This year we will be joined by Sarah and her Coffee Bean Dream van, which will provide visitors to the park with hot drinks. We are also proposing some new attractions, including a cake sale and others we will announce when confirmed. This is a FREE EVENT but there will be a collection bucket for donations to Friends of Marple Memorial Park. The event is being organised and sponsored by Julian Wadden, the Estate Agents on the Hollins near to the park entrance. PREMIER SPONSORSHIP £50 with prime placement of logo in the programme, at the event, plus promotion on the Marple Website and social media. 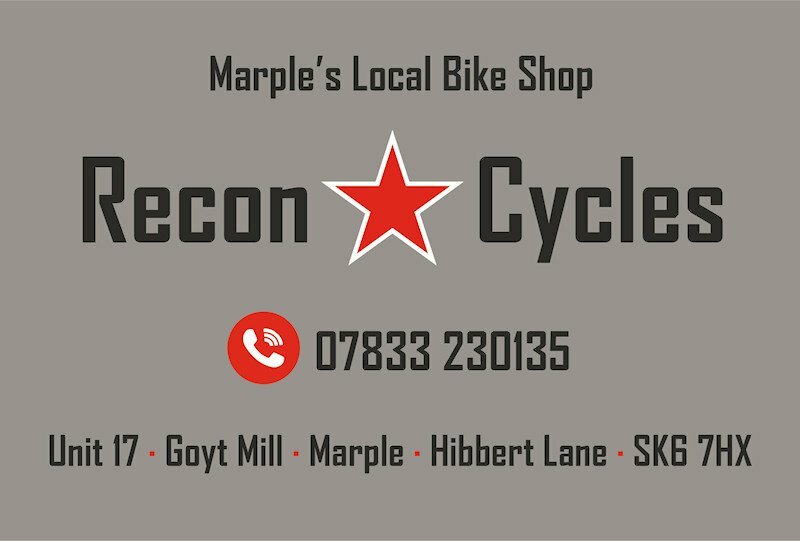 REGULAR SPONSORSHIP £30 with logo in the programme, at the event, promotion on the Marple Website and social media. BANNER SPONSORSHIP from £20. Spaces are 600mm x 600mm at a cost of £20 per space and can be bought in multiples of 1, 2, 3 or 4 spaces. Your banner will be displayed during the event on the Bowling Green fence on 11 May. Suitable banner sizes are 600mm high x 600, 1200, 1800 or 2400mm wide. 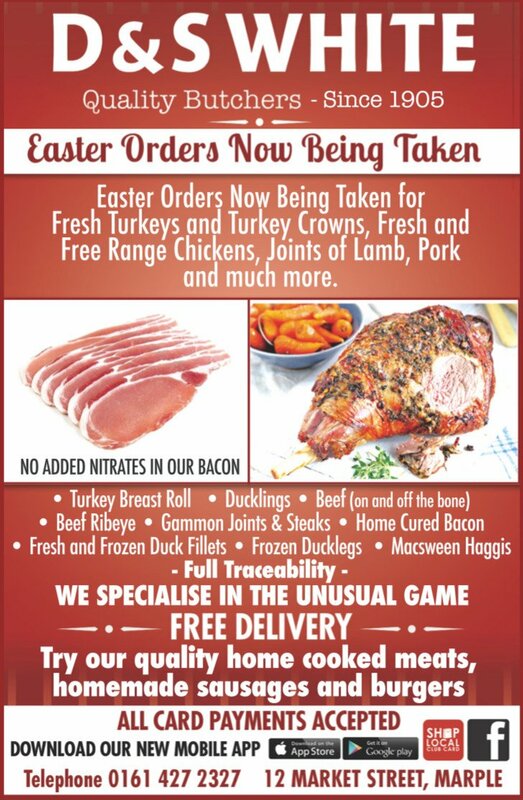 Use your existing banner or purchase one from H B Printing (427 4588) or Inkbox Marple (426 0033). 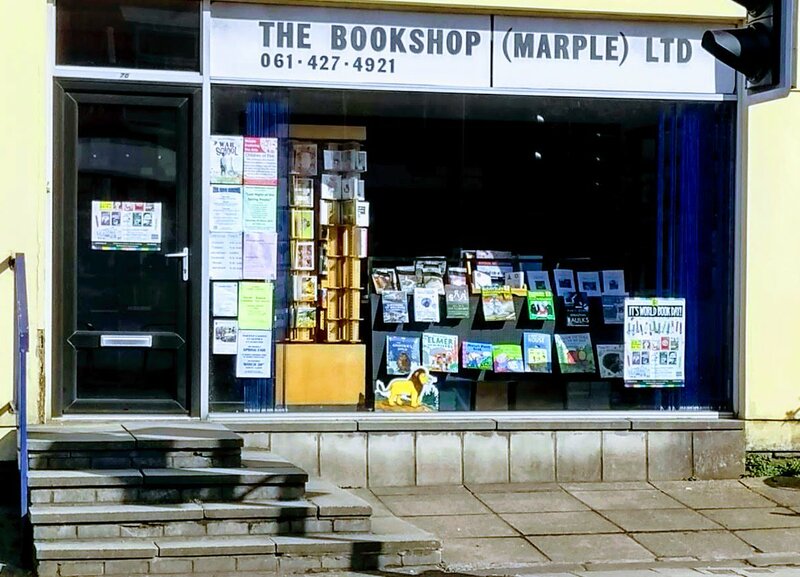 Includes promotion on the Marple Website and social media. DONATE A RAFFLE PRIZE: Any local business is welcome to donate a raffle prize. 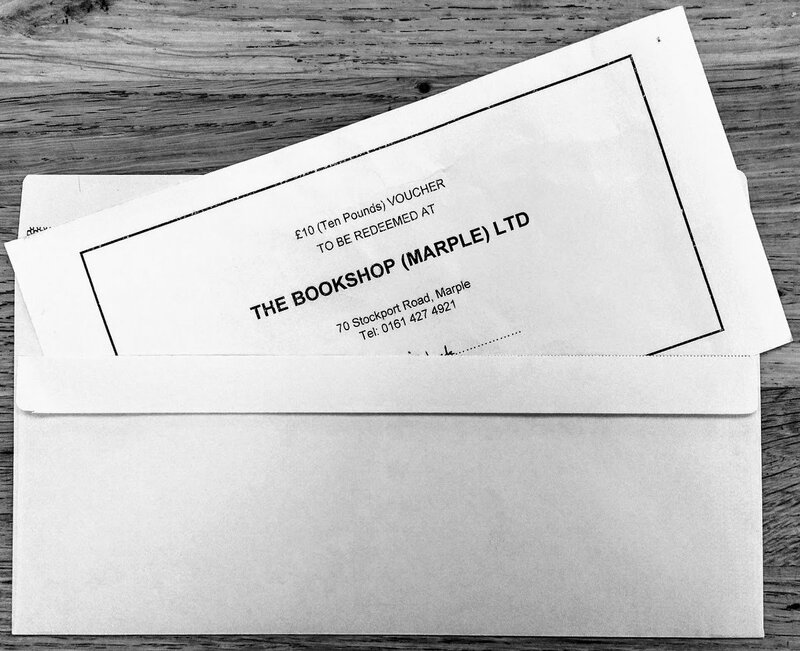 Please deliver your prize as soon as you can direct to Jonathan Hyde, Julian Wadden Estate Agents, The Hollins, Marple or phone Diane Jackson (427 5388) to arrange collection if you are unable to deliver. In fact there is a 5th way too, as you could also bake us a cake! 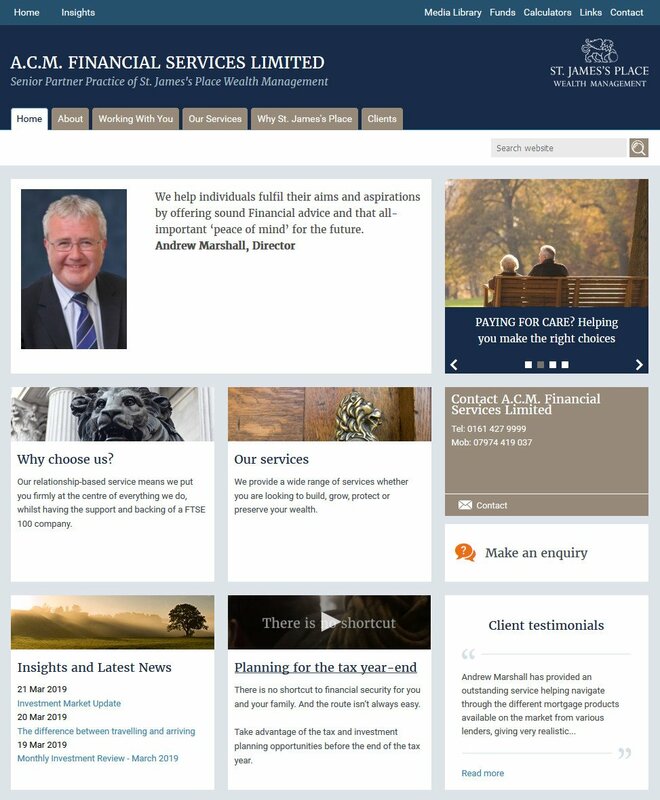 All donations will be promoted on the Marple Website and social media when received. 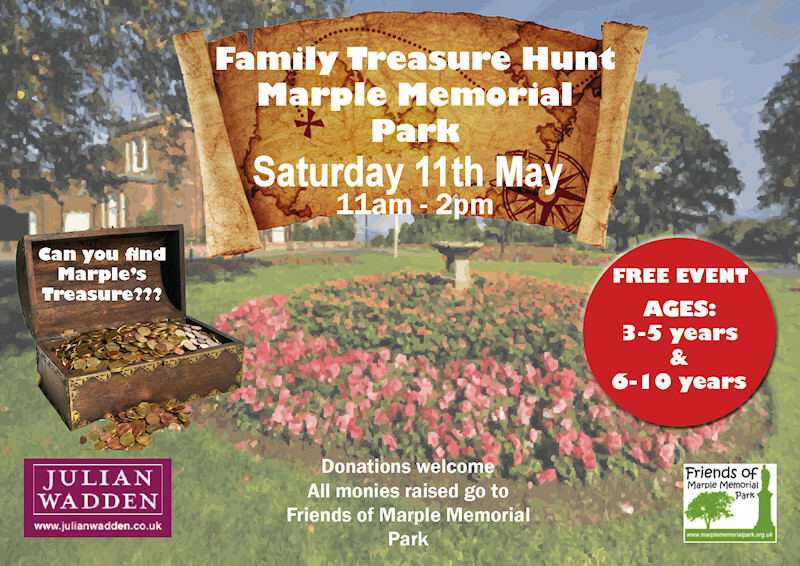 Please contact Diane Jackson on 0161 427 5388 or email sponsoring@marplememorialpark.org.uk to get involved. So far the Treasure Hunt has raised a total of £4,947 for the park! Friends of Marple Memorial Park have been helping the council to look after our fabulous local park since 2003 and the group continues to raise funds for some exciting new and future projects in the park to benefit the whole Marple community, as well as visitors to the park. 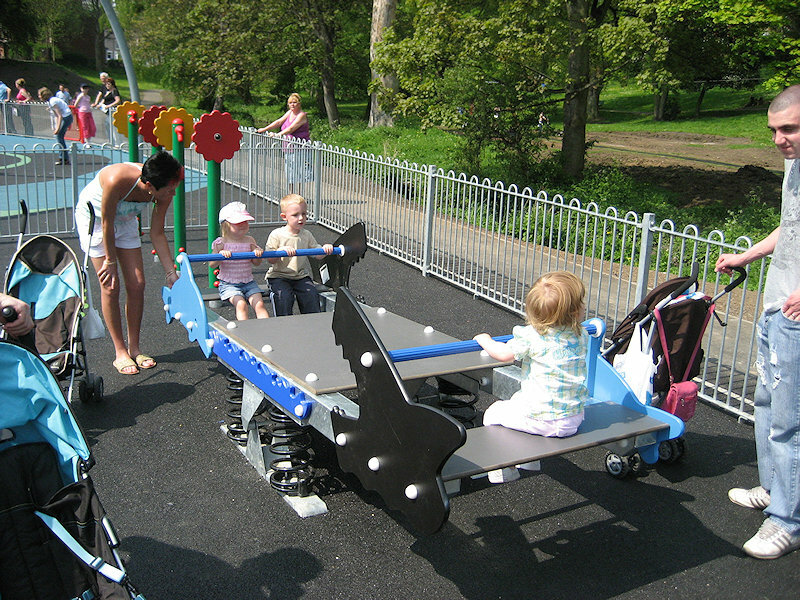 Last year's Treasure Hunt raised £2,154 towards the new Ocean See-Saw in the Infants Play Area. Follow this link to discover the wonderful local businesses who have supported us each year! This year funds raised will go towards ongoing projects in the park. A new tree sculpture to replace ‘Midnight the Owl’, which has sadly deteriorated beyond repair and had to be removed at the beginning of 2019. Refurbishment of the Reading Circle constructed behind the library in 2008, to improve the surface and to make it compatible with current wheelchair access requirements. Continued improvements to the Infants and Junior play areas, including a new long-term aspiration to achieve the merger of the two areas into one. This would create additional space and allow improvement to the recreational facilities for both age groups. Renewal / refurbishment of the public toilet facilities in the park to keep them open and usable for all visitors, including making them suitable for disabled access. Plans are currently being developed with the council to determine possible solutions and costs. A second phase of development to the Skatepark area, improving the older top section and turning the existing dilapidated basketball court into a new multi-games sports facility. Planning permission and funding for these improvements is now in place. In addition to funding projects in the park, FoMMP have need of regular smaller sums of money to repair and maintain benches and the park's other features and facilities. We also need to pay for new planting schemes, gardening hand tools and other incidental expenses that occur throughout the year. All these tasks are carried out by a dedicated group of volunteers who turn out on average 24 times throughout the year in all weathers to ensure the park always looks its best.